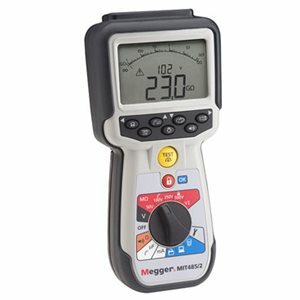 The MIT485/2TC-LG2 insulation and continuity tester replaces the original MIT480 range and is designed specifically for the Telecommunications and Cable testing markets. The new unit features a redesigned case, back-stand, and 6 cell battery compartment with separate fuse access. The instrument is over-molded for increased protection and achieves an IP54 weatherproof rating.